Ever since the inception in 1960 Vin Sullivan’s has never been afraid to try new products or new ideas. Most have worked extremely well, though some failed miserably, but we’ve never stopped pushing the possibilities and that ethos is still with us today. Although it may seem strange these days, some of the products that are taken for granted now were unknown back in those days. The first cooked meats from Poland arrived in 1969 and the driver would deliver once a week on a Wednesday or Thursday, anytime between 6pm and midnight. 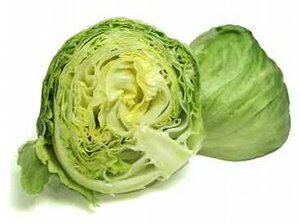 Crisp lettuce was unknown in the winter time but in 1974 a trial shipment of iceberg lettuce arrived in Covent Garden from Florida. Vin Sullivan’s were one of only three buyers - Harrods and Fortnum & Mason were the other two! Ten times the price of ordinary flat lettuce in February - they sold out the same day. Vin Sullivan’s were one of the first companies to import fresh corn fed chicken, guinea fowl and duck from France in 1975 - A full container load would arrive each week. At the same time fresh Dublin bay prawns were air freighted from Ireland each week and speciality fruit, vegetables and fine foods, including the then unheard of Cocoa Barry couverture from Rungis market in Paris. Other products soon followed, such as the first to import ostrich from South Africa, crocodile from Australia and bison from Canada along with a host of others. And so the story continues with new ideas arriving all the time, more recently we have seen black garlic from the USA, black salt from India, a huge new range of molecular gastronomy, Banyuls vinegar - a unique product form the South of France, flying fish from the Caribbean, wild garlic jelly from Cumbria and so the list goes on!